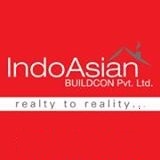 Indo Asian Buildcon Pvt. Ltd. is conquering new horizons, thanks to the deep-rooted foundations of ethics and values. We continue to define the lifestyle of thousands of people. IAB’s with its velocity and incredible volume of work has been instrumental in pioneering new vistas of growth for realty and infrastructure sector. Our projects are a reflection of its deep passion, commitment, expertise, and trust, which the customers have reposed in the organization. In a nutshell, we are a torch breaker of the new dimension in second home development in Mumbai and continue to explore new opportunities. The residential segment involves a wide range of products like N.A plots, Bungalows, Row houses and apartments of varying sizes. In a society where home remains a basic necessity, IAB’s projects are innovatively planned to create a domain that is fluently sumptuous, gently elegant and elite. IAB’s exertion is to dispense projects on time following high levels of integrity and translucence thus building trust and assurance amongst our clienteles. In line with its policy of exploring new business opportunities, one of the company’s key strength is its ability to identify projects in the best of the upcoming locations that are becoming the masses favorite choice to own their Dream Home. IndoAsian BuildCon Pvt.Ltd partners with the best in class contractors and architects for the development of its projects. This coupled with in-house project management and execution process teams to supervise development activities and ensure efficient & timely project execution. In doing so, we are continuously stimulating ourselves in order to amplify our skylines by making a universal contribution to the changing Indian lifestyles. We enjoy a long-standing association with our customer. We believe that product and design revolution is a unified process that creates a roadmap for excellence. We deem in having complete transparency in dealings, safeguarding secure, risk free, genuine properties and wish to outshine all precincts in order to emerge as the ‘Most Valued’ Brand by presenting ‘value for money’ and ‘variety’ in three distinct sectors of Investments, Chattels & Lifestyle while catering to every segment of the society. After the successful launch and 100% sale of Bella Vista Phase III and Ragini Hills within 6 months, IndoAsian has announced booking for the key on-going projects including: Bella Vista Phase II Shahpur and Mount Valley at Kasara.